Pure White Lines has already established a reputation for specialising in dramatic one off pieces and say that they have a stock turnover so fast that no two visits will ever look the same. They specialise in sourcing unique one off finds that our discerning customers can build a whole theme around. Their shops have such an eclectic mix that a surprise awaits around every corner. This is why the public and many interior designers have made us one of their first points of call. 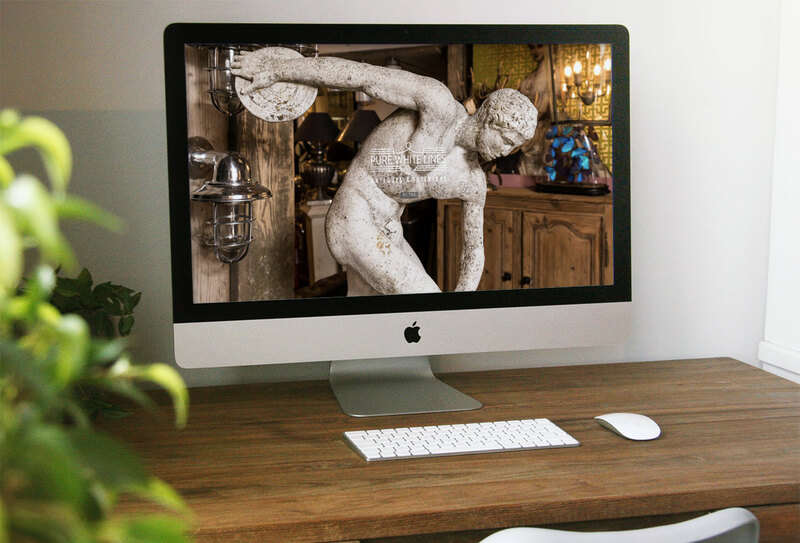 Old statuary, vintage antlers, horns, weird and wonderful taxidermy, antiqued mirrors, French hanging lanterns, opulent chandeliers, eye catching objects and distressed painted furniture is just a taster of what you will find. They have contacts throughout Europe and have our own Upholstery and restoration facilities along side top quality furniture refinishers and painters.